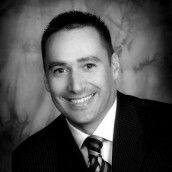 Norm Piché is an award-winning wealth management Consultant with a solid background in finance. Starting his career in the banking industry and working his way to Branch Manager, Norm transitioned to Investors Group in 1998 where he has been recognized with President’s Club¹ and President’s Elite² awards over several years. Northern Ontario Business listed him as one of their Top 40 Under 40³ for 1996 and with his natural talent in finance, he has become a sought-after Consultant and public speaker. A lifelong learner, Norm continually studies new and innovative perspectives on financial management to better serve clients and their families. Click here to contact Norm directly. Click here to contact Valerie directly. ¹ Top 3% of Investors Group Consultants, based on new business (2006, 2010, 2011, 2013, 2014, 2016). ³ Awarded in 1996 to 40 individuals under age 40 to recognize and honour the achievements of those who have demonstrated leadership and contributed to growth in their Northern Ontario communities. Insurance products and services distributed through I.G. Insurance Services Inc. Insurance license sponsored by The Great-West Life Assurance Company.